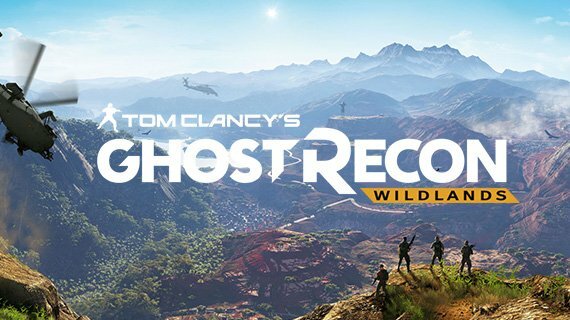 In Tom Clancy’s new Ghost Recon Wildlands, weapon authenticity is at the heart of the experience and Ubisoft have not held back on providing a full choice of weaponry. As each mission, your play style and character can vary; there are over 50 different Ghost Recon weapons. A lightweight and great all-rounder option, it is well balanced and adaptable due to its great accuracy. As customisation is a huge part of what makes Ghost Recon so popular, the new Wildlands has a great option of attachments. A high-powered, fully automatic killing machine, with a high round capacity. Although accuracy can be limited and the recoil slightly manic, after you take a while to stabilise the fire, the spray of bullets across a crowd of enemies is fantastic for wipe out kills. A hand held lightweight machine gun, which are fully automatic and provide the stability that the light machine gun lacks. A great one on one gun, used for aggressive combat and short range attacks. The ultimate short range gun, the shotgun encompasses enemies with their large spread shots. The ideal weapon for targeting enemies around corners, a great indoor option, although be wary of the recoil and low ammunition. The sniper rifle is the ideal weapon for eliminating long distance targets efficiently and accurately. Headshots are the best tactic when using the sniper, as reload times are lengthy. Wiping out several enemies with the sniper rifle is the best ploy when approaching an enemy base. As well as the choice of your two main weapons, you will be able to carry a secondary weapon. This can be either a compact machine gun or a handgun. The compact machine guns are a condensed version of the SMG which focus on mobility and a high rate of fire. The handgun is swift and quickly deployed, key in reactive situations when you need to take someone out quietly and with ease. The secondary weapons aren’t ideal for long range and should be used in low enemy situations to save on ammo. Check out the gunsmith article, to see how you can customise your weapons. The Ghosts are a legendary Elite Special Operations team. They are the team that attack the heart of situations deemed dangerous and they are required to move quickly, silently and without hesitation.